This past weekend my family enjoyed a short staycation in the Mt. Laurel, NJ area. It was nice to get out of the house and explore what the state has to offer and there were different things about the weekend that each of us enjoyed, from shopping, to dining, to a little indoor water park fun. Yeap, you read that right. 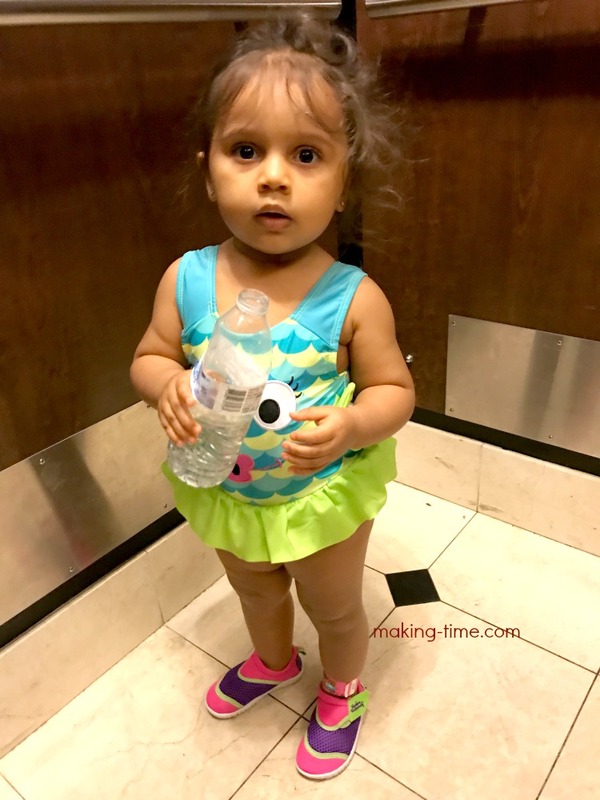 We had water park fun in NJ, in April! 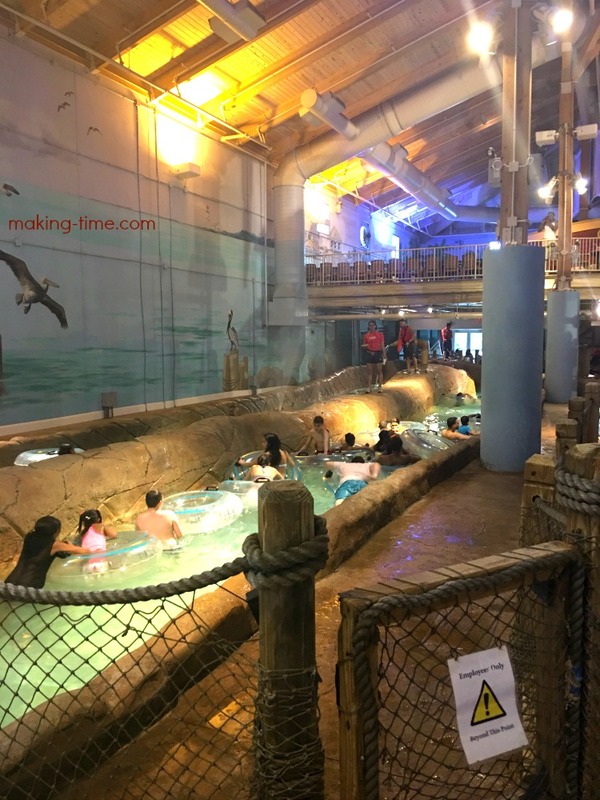 It was cold and rainy ALL weekend, but it didn’t stop us from splashing around at CoCo Key Water Resort like it was summer. 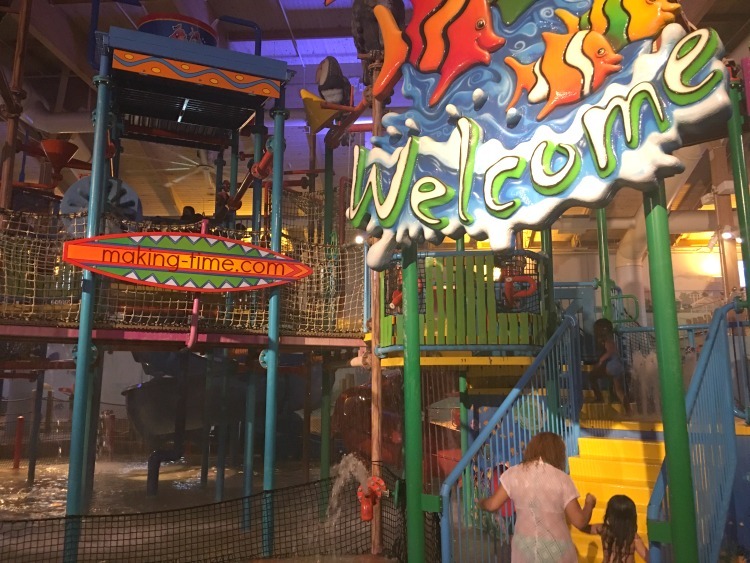 CoCo Key is an indoor water park that offers family fun for all ages. 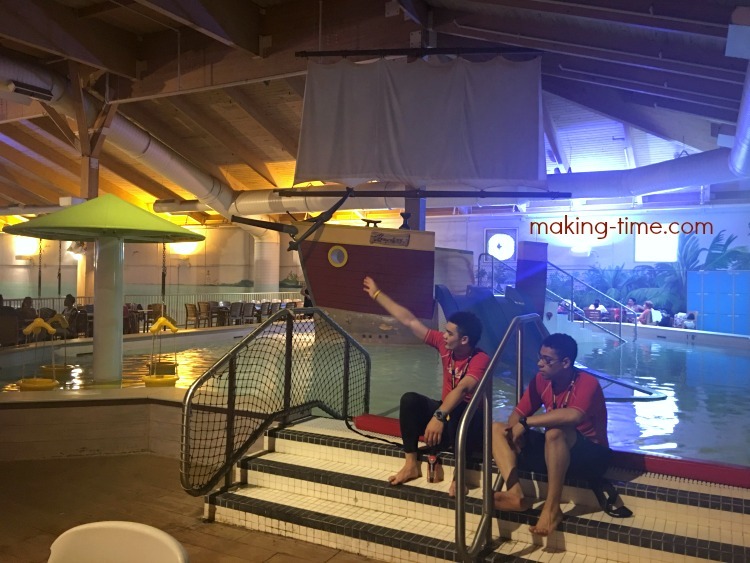 Guests of The Hotel ML can purchase passes to visit anytime during their stay, or the general public can purchase a daily pass and just spend the day splashing around. My kids absolutely love playing in the water and since moving from FL to NJ, the only water play they’ve gotten is during bath time. 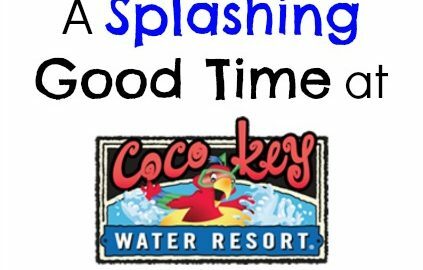 So I knew CoCo Key would be the perfect getaway for them and they ended up having a splashing good time! The water park was their favorite part of our staycation and my son is already asking to go back. We ventured over to the water park, which is accessible via the hotel and also has its own entrance, sometime early Saturday afternoon. As you walk in, there’s a counter for purchasing your passes and another counter for cashing in your arcade tickets. 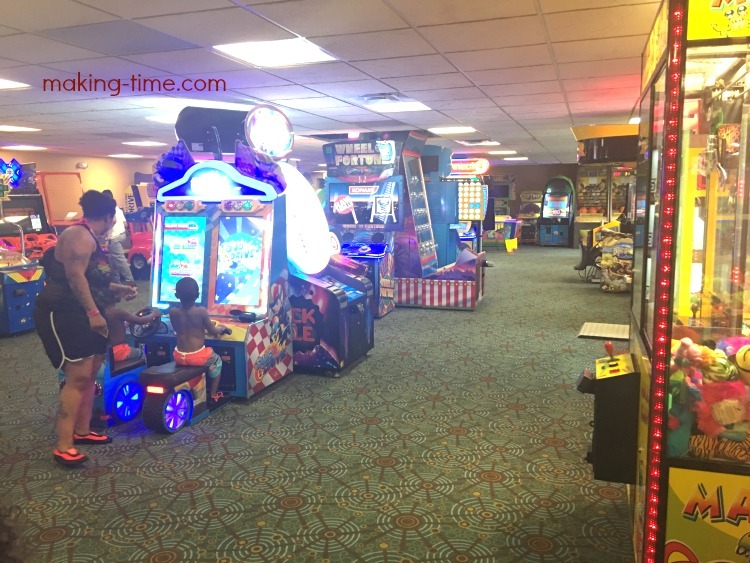 Not only does CoCo Key offer an indoor water park, but also has a nice little arcade. 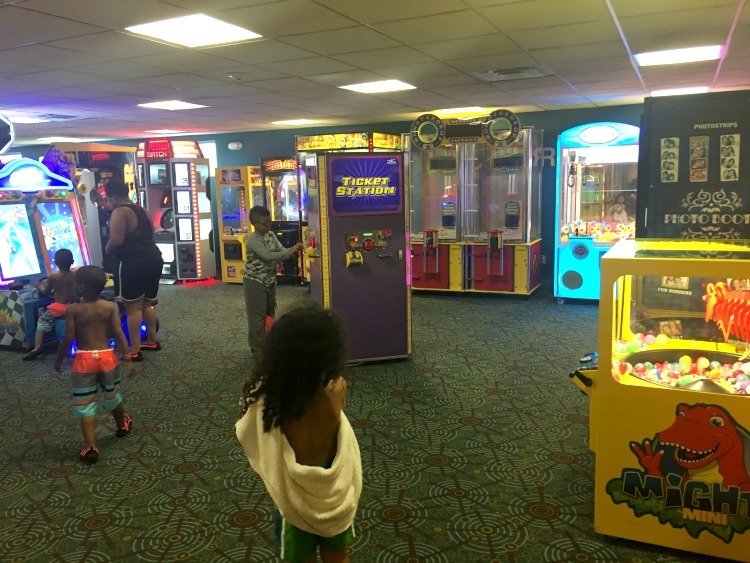 If it weren’t for my son wanting so badly to play in the water park, he could have spent all day in the arcade. Just beyond the entrance area are doors that lead you into the water park, which is two levels. You enter on the upper level and can either walk down a flight of stairs or take the elevator down to the lower level. Dip-In: This is a kiddie play area that’s perfect for the littlest swimmers. 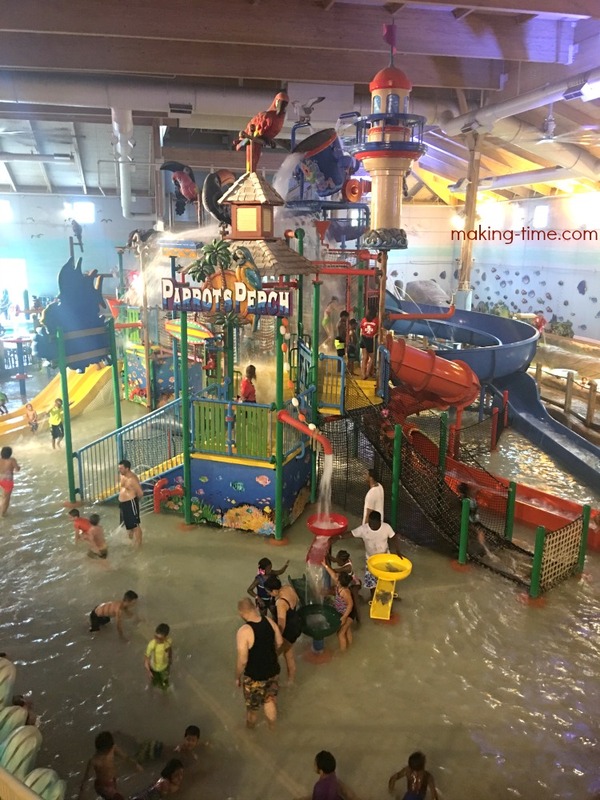 A one foot deep wading pool, Dip-In features a pirate ship in the center with double slides, as well as a baby bungee corner, and is lots of fun for toddlers and smaller kids. 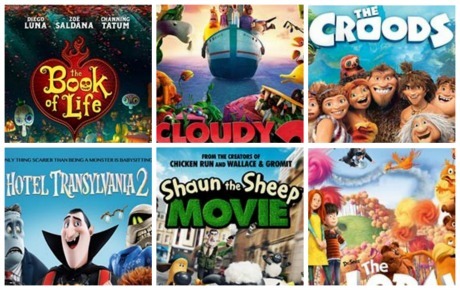 The weekend we were visiting, the hotel was offering special movie nights that took place at the water park at 9:30 pm. This was after the water park closed at 9:00 pm, so it was only available to hotel guests. 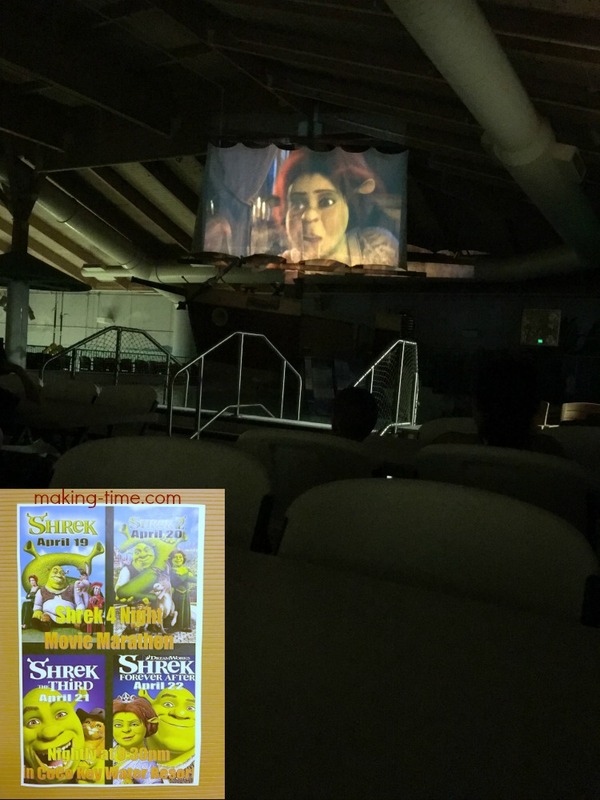 Friday night we went to check it out and the movie, Shrek the Third, was actually playing on the sail of the pirate ship! I thought that was pretty fun and a little added perk for the kids. Coral Cove’s Slam Dunk: A three foot deep circular pool where you can enjoy a little water basketball. Coconut Grove Lazy River: A three foot deep lazy river where you can hop in a float and take a relaxing 300 foot ride, but be sure to watch out for the splashy surprises along the way. Lily Pad Adventure: A fun water activity that tests your balance and strength, the Lily Pad Adventure is like something you’d see in an obstacle course. With the help of an overhead rope to hang onto, do you think you could keep your balance long enough to cross the pool on floating “lily pads” without falling in? Palm Grotto Indoor/Outdoor Spa: This one is for adults only. While the kids splash around, sit back and enjoy a hot, relaxing dip in the whirlpools of the hot tub spa. Parrot’s Perch: In the center of it all is Parrot’s Perch. 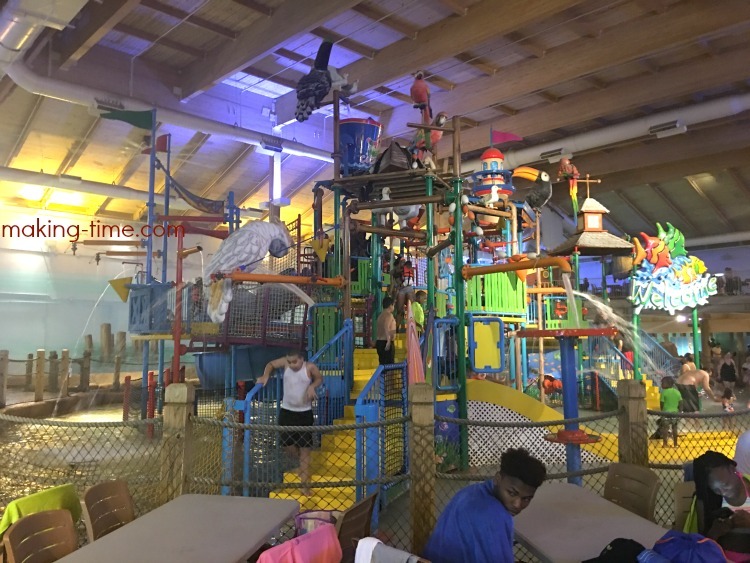 It’s like a big water playground and jungle gym that everyone can climb on, shoot water cannons, slip down the slides and get drenched when the 300 gallon water bucket at the top fills up and tips over. 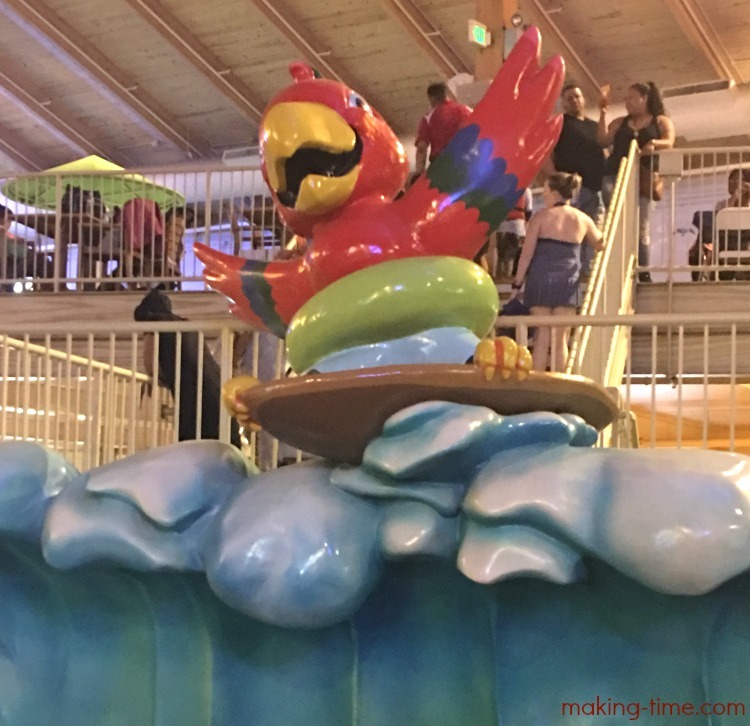 Large Water Slides: If you’re looking for a real thrill, take a ride on one of the three large water slides – Pelican Plunge, Barracuda Blast, and Shark Slam. 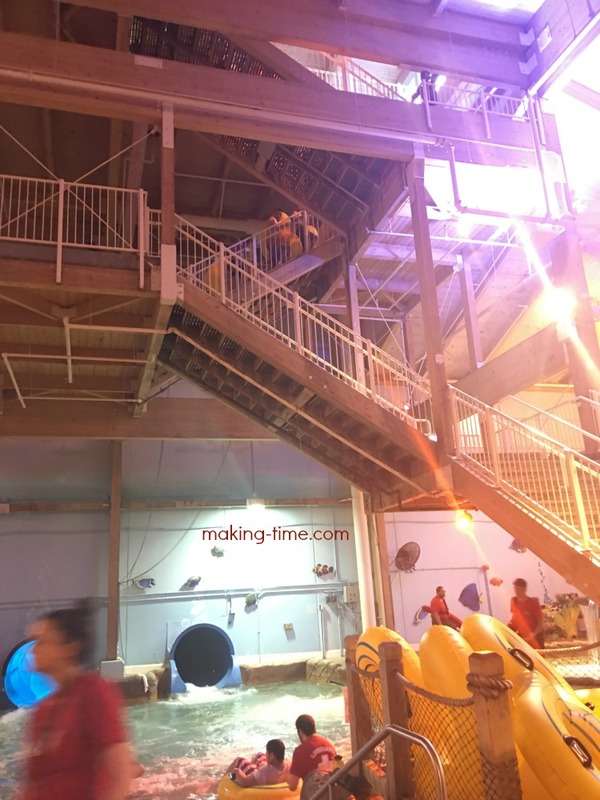 Grab a raft and make your way to the top by climbing the indoor stairway. The slides themselves twist, turn and wind outdoors, but they’re all completely covered and protected from the elements. The entrance and all three slide exits are indoors so you never actually step foot outside. 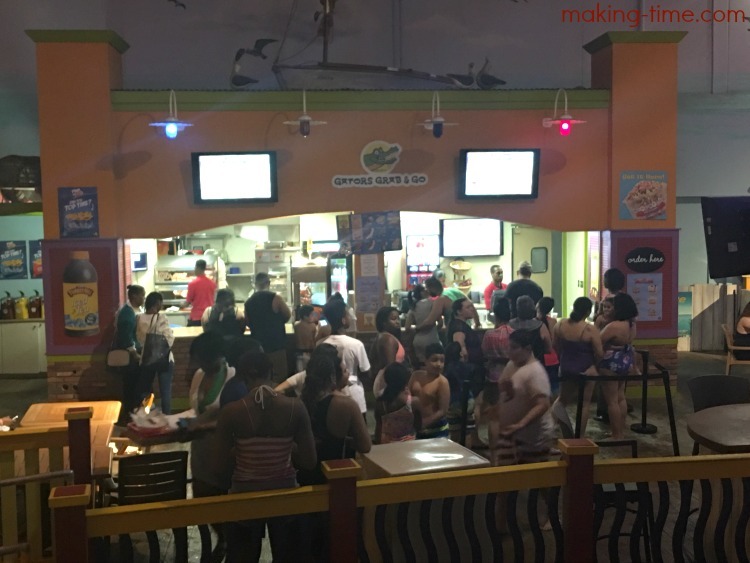 If you plan to spend the whole day at CoCo Key, I can guarantee you’re going to get hungry. But never fear because you can pick up pizza, burgers, chicken nuggets and more at Gator’s Grab & Go, or grab a cocktail at Wet Rooster’s, a full service bar. There are lifeguards, on lifeguards, on lifeguards at CoCo Key. They’re everywhere and they actually pay attention to ensure everyone stays safe. There was a lot of whistle blowing during our visit, haha. If something were to happen though, there’s also a first aid station. And if you need a life jacket for your little swimmer, they’re on hand too. For a day at CoCo Key you’ll definitely need to bring your own towels. We just used our hotel bathroom towels since we didn’t bring any from home. And since I know you’ll want to preserve some family memories, I’m sure you’ll bring along a camera or take photos with your cell phone. Unfortunately, I wasn’t able to get any photos of my kids playing around, for fear of dropping my phone in the water and the shear fact of having to wrangle two small kids, I really needed both of my hands available. I did see a lot of people who were wearing waterproof cell phone holders around their neck, so I would recommend bringing something like that along so your phone isn’t far out of reach, but is still protected. And for anything else you bring along, lockers can be rented ($10) to keep those items safe. There is plenty of space on both the upper and lower levels to sit, but if everyone in your party is enjoying the fun, you will not want to leave your belongings just sitting around. So the lockers are plus and you can access them at any time you need to. Since we were visiting on a Saturday, I think the water park was a little more crowded than if we had visited another day. The kids had a really great time and we did too, but there are a few things I want to note. The first thing is the smell of chlorine is pretty overpowering, which I totally understand given it’s a water park, but it kind of smells like a dirty chlorine. Not that fresh, super clean, dive right in kind of smell. And for as strong as the chlorine smell is and as much as they must be using, the water was pretty murky. I don’t know if this is just a result of all the traffic that comes in and out, or if it was intentional to give kind of like a natural outdoor look to the water. The thing that really bummed us out was that Dip-In, the kiddie area on the upper level, was closed off and reserved for a birthday party. 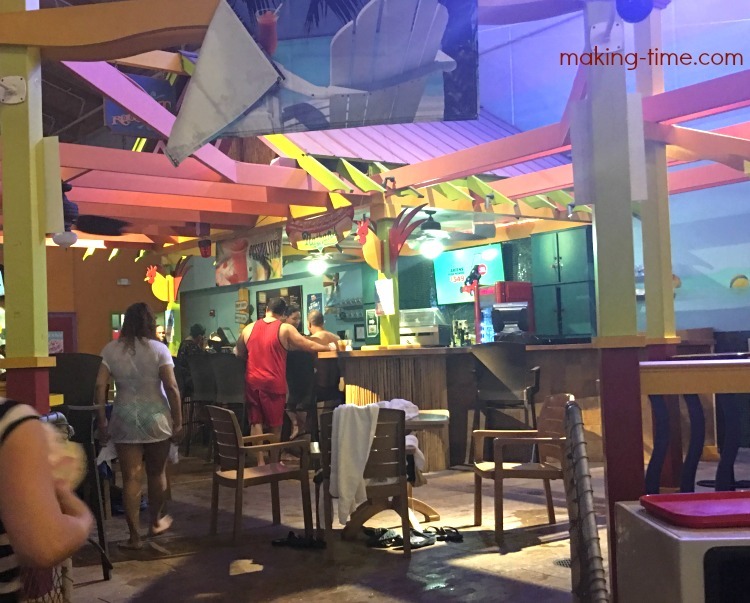 Birthday parties are a great feature that CoCo Key Water Resort offers, and there are a handful of private rooms near the resort entrance for facilitating them, as well as a large sitting area on the upper level where these parties can also be held. But at the same time, this really hindered how much freedom we could give our one year old. Since we couldn’t access the kiddie area, we were forced to stay on the lower level. Let me preface this a little bit so it makes more sense as to why this bummed us out. So once you get wet, you better stay in the water because – You. Will. Freeze. After getting wet our daughter was literally shivering in our arms so it was either keep her in the water or wrap her in a towel, which she was not about to sit on the sidelines and watch everyone else having fun. The water in the Parrot’s Perch area is very shallow. We sat her down and it barely covered her legs, so this wasn’t going to work for us. The only other option was to sit in the water that was at the entrance to the lazy river. The water was warmer there and it was deep enough to keep our daughter decently submerged so that she wasn’t shivering. The problem is that this was not a very safe place for us to be, or anyone else for that matter. This is where we were sitting at the entrance to the lazy river. There was traffic coming in and out for those visitors who wanted to ride around the lazy river, and not only that but there were bigger kids hanging out in that area as well and their splashing around and rough housing was not safe for our kids. So not having access to the kiddie area on the upper level was a bit of an issue for us and we actually only stayed for a little over an hour. The other thing I want to note is that the day we checked out (Sunday), the water park was only open until 3:00 pm due to a private event (normally open until 6:00 pm). Since we had our passes, we could have stayed after checking out of our room and enjoyed the water park until it closed, but we chose not to. And I’m all for private events like this, but as a visitor who’s paying to enjoy a full day of water park fun, this would upset me. I’d hate to show up promising my kids a full day of fun, only to find out that’s not going to happen. So I suggest calling ahead of time to ensure there are no special events taking place that could hinder your family’s fun. So long as there’s nothing going on that would have certain areas closed off, or affecting the park hours, I think you’ll have a good time. Overall, my kids didn’t know any different and they had a ton of fun playing in the water. At CoCo Key Water Resort you won’t have to worry about sunscreen, but it’ll still wear you out like a day in the sun. Just the little amount of time we spent at the water park wore me out and I was ready for a nap as soon as we returned to our hotel room. 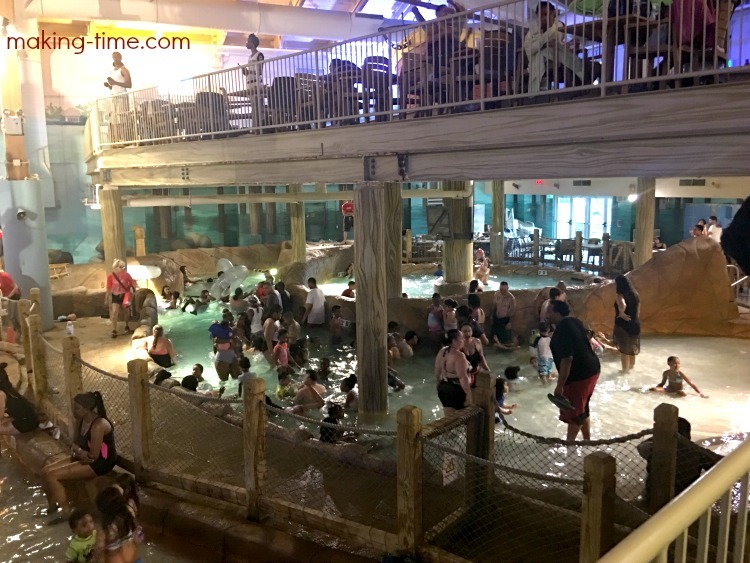 Have you ever visited an indoor water park? *Complimentary CoCo Key Water Resort passes were provided for purposes of facilitating this review. My opinions are still 100% my own and in no way influenced by the brand. Any claims or statistics should be confirmed with the brand. Please see this blog’s full policies and disclosure here. We have a CoCo Key here in Boston and it’s so much fun! My kids love it when we go there. What an awesome place to visit for families. We have a local Coco Keys, and I am thinking I should take a trip there! This would be SOO Much fun! Not just the kids would have fun but I would too! I love waterparks! Holy moly that place looks like a BLAST! I love that it’s all covered, too – no sunburns! 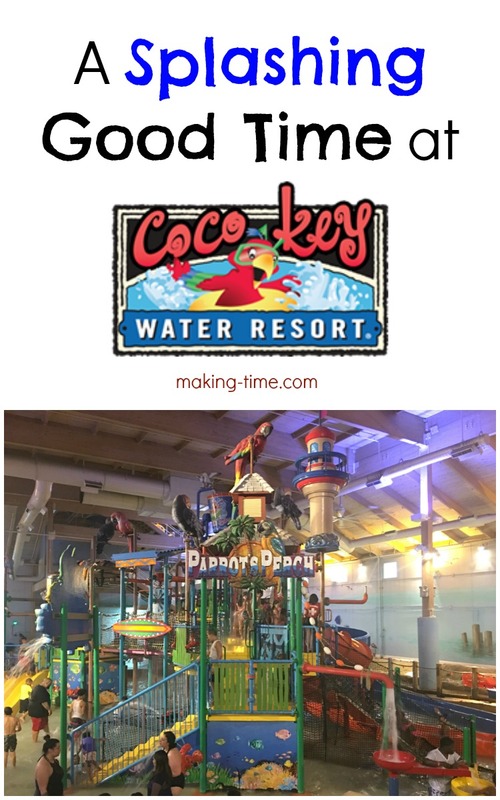 Looks like you and your family enjoyed your time at CoCo Key Water Resort! With all kinds of water-based areas to choose from, such as Coconut Grove Lazy River, it looks like an all-day fun time! 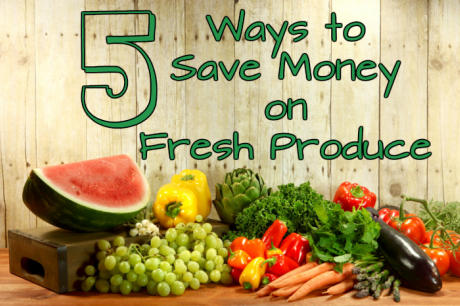 It’s sounds like there is plenty to do but it’s good to know that planning in advance would help. I like that there are lots of different places to play in the water. I’m sure the kids would have a lot of fun here! This place looks so colorful and looks like so much fun! I used to love arcade games as a little one. My kids would love it here. We go to water parks to keep cool in the summer. An indoor one would be cool to check out. An indoor water park? I have never seen one before. This looks amazing and fun. That looks like a great place for every family. I love that they have activities for every age. That looks like a great time for the kids (And for the big kids too!). I would love to visit this place some day and have some fun just like you did! Coco Key looks like a blast for families. Seems like they have something fun & different for everyone. This sounds perfect for families! Thanks for sharing some tips on planning and scheduling ahead for your visit. 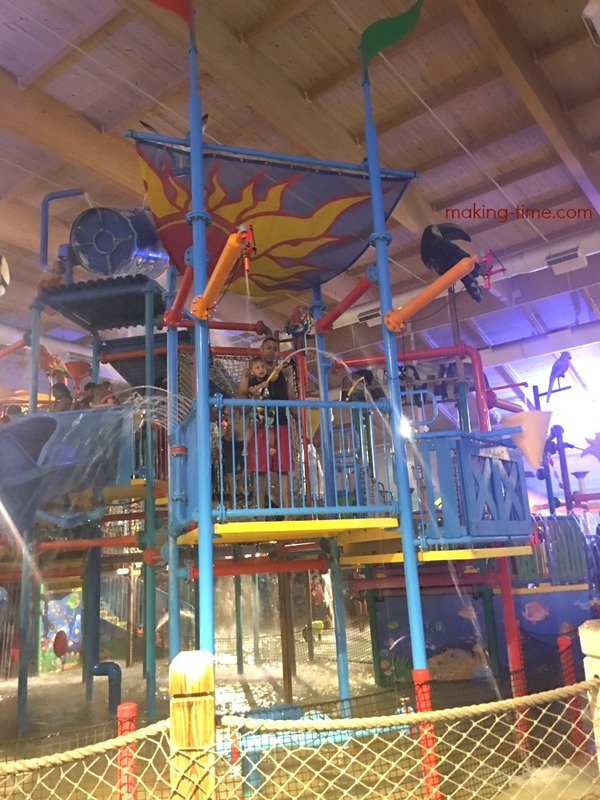 I’ve never seen an indoor water park before so I think it’s great to try! My sisters live right near this attraction! I’ve always wanted to go but never had the chance! Now that I see all these fabulous pics and read your review I know where I will be going for our next weekend getaway! 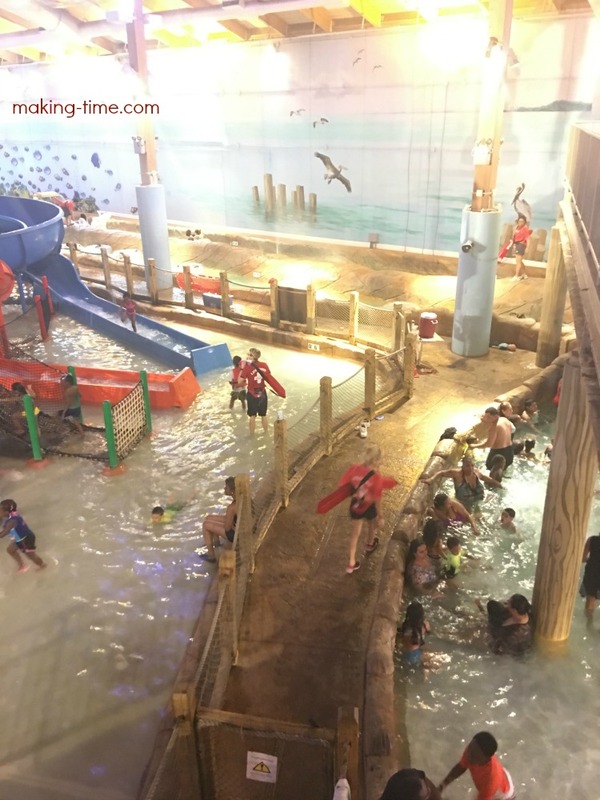 We love visiting indoor water parks where we live. This sure is a fun place for the kids! Indoor water parks are our favorite! I am putting this one on the list!